One thing I like about Japanese Metal in general is the fact that they’re not confined by the genre conventions that are common in the west. 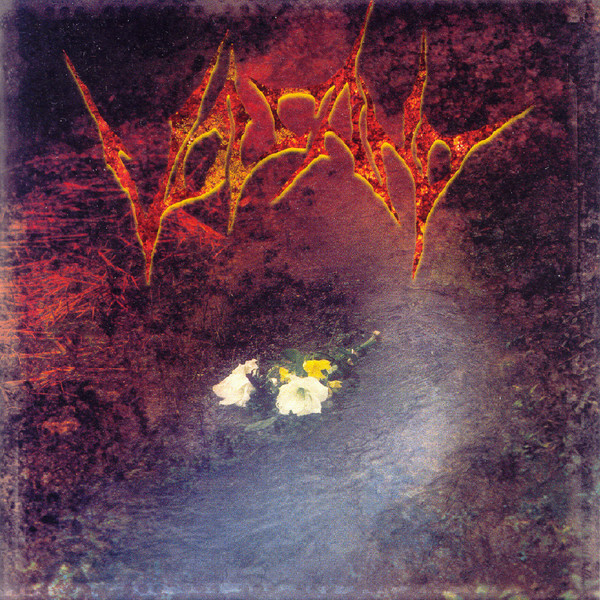 And although Volcano might not be as wildy eclectic as some of their fellow countrymen, their vicious, yet melodic mixture of Thrash Metal aggression, Death Metal intensity and guitar melodies strongly reminiscent of traditional Heavy and Power Metal would be considered too little of either by the standard European Metal audience. While in fact, the contrasting elements really bring out the best in each other, making their sophomore effort ‘Davi’ a lesson in mixing melody, aggression, groove and excellent songwriting. Compared to Volcano’s Fredrik Nordström produced debut, ‘Davi’ sounds rawer and overall less “Swedish”. Nordström really highlighted the Gothenburg qualities of the band by placing the neoclassically inspired melodies that were guitarist She-ja’s trademark even when he was still in Gargoyle front and center. Though the melodic lead guitar is still omnipresent on ‘Davi’, the intensity is cranked up considerably, the guitar tone is much more abrasive and the compositions are generally a bit more “riffy” than on their debut. That’s probably why it makes my blood boil more than ‘Violent’, despite it being a great album in its own right. ‘Davi’ also shows a more courageous band in terms of exprimenting with other styles. It’s all Metal, it just doesn’t stick to the same subgenre for too long. ‘The Wild Obscene Nights’ is a sleazy track with Metal riffs, but a Rock ‘n’ Roll ethic that really shouldn’t have worked, but is one of the better tracks here. The highly melodic ‘Child Eyes’ really threw me off with the addition of the Hammond organ, while the shift from the intense, pulsating rhythms to the almost ballad-like verses in ‘No Way Man’ is a refreshing shift in the middle of the record. However, I do prefer the band with the intensity turned all the way up. They have the riffs for it, they have one of the most powerful drummers in Japan in the shape of Gargoyle’s Katsuji Kirita and Nov’s raw, authentic voice just begs for the heavy stuff. Opening track ‘Absurd’ and ‘Progress’ both switch between the hyper-aggression of the riffs and rhythms on one side and the melodicism of the (twin) leads on the other. Closer ‘Barbwire’ basically destroys everything in its way and ‘History Cries’ is the perfect blend of aggression and melody, bringing to mind Artillery’s best work in the process. In a time when stylistic conservativism seems to smother Thrash Metal, it’s good to have bands like Gargoyle and Volcano around to prove that it’s possible to stretch the boundaries of the genre without forsaking its essence. That essence – the unbridled aggression – is widely on display here, but decorated with just enough outside influences to account for a much more interesting listening experience. ‘Davi’ is Volcano’s creative peak and it’s definitely worth hearing if you want your blood to boil in a way that also puts a smile of melodic Metal euphoria on your face. It may become a disturbing grin to others, but you’ll be enjoying something really special by doing so. Call him weird. Call him an enigma. Call him a show-off. You’re probably right. But let’s never forget that Prince was first and foremost a musical genius who consistently refused to aknowledge the presence of genre boundaries in music. The announcement of his death came as a shock to me. Not only because have been a big fan of his work for ages, but also because I had no idea his health issues were so bad. He was rushed to the hospital in the middle of a tour last week, but he was back home and everything seemed to be alright. However, it was that home – Paisley Park, of course – where he was found dead at age 57. 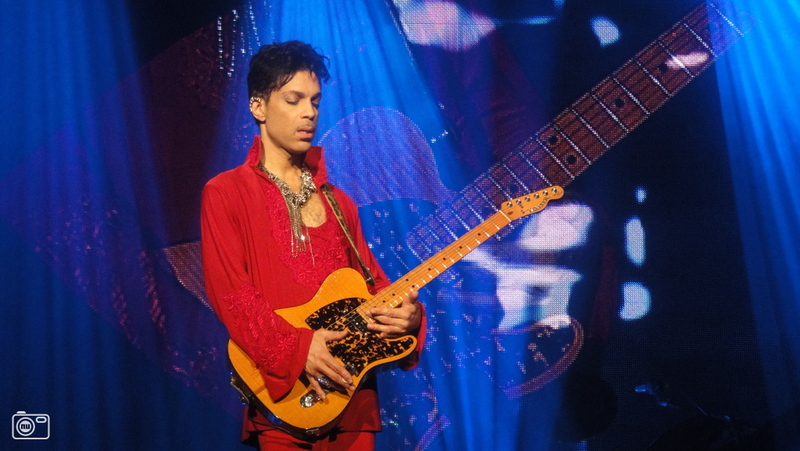 I had the pleasure of seeing “the purple one” live when he closed the second night of the North Sea Jazz festival in 2011. It was an extremely hectic night as I was still fronting Chaos Asylum at the time and we had a gig before the show, but I’m still so glad I went. The Prince I saw there wasn’t Prince the Pop phenomenon or Prince the hit machine, but the musician Prince. Exactly the side of him that I admire so much. With a passion, he and his excellent band worked through a set of Jazz, Funk, Soul and even a little Hardrock. And whatever amazing song I missed that night – ‘Controversy’ first and foremost – I had a chance to see two weeks later at the same venue. There’s so much to admire about Prince that I don’t even know where to start. Maybe his guitar playing, because I still think he doesn’t get enough credit for his amazing skills. He blends Hendrix’ intuitive Blues feel with Santana’s sultry tone and soulful melodicism, while adding his own awesome choppy, syncopated funk and the occasional shred moment to the mix. There’s not one player in the world who sounds like him sonically or stylistically and that to me is the mark of a great guitarist. But he’s a fantastic composer as well. He’s made futuristic Funk (‘Controversy’), psychedelic Bluesrock (‘Colonized Mind’), relaxed Jazz (most of ‘The Rainbow Children’), excellent power ballads (‘Gold’), Hardrock (‘Peach’), his trademark light Funk (‘Dear Mr. Man’), T-Rex-ish Rock ‘n’ Roll (‘Cream’) and the perfect Pop song (‘Little Red Corvette’). And I’m probably forgetting a whole lot more here, but so much of his work is simply uncategorizable. What, for instance, is ‘When Doves Cry’? I wouldn’t know either, but it’s excellent without any shade of a doubt. Prince Rogers Nelson, I’ve stood up to defend your musical qualities numerous times through the years and I will continue to do so. Your contributions to Pop music will be sorely missed. While Santana the man hasn’t ever really been away, ‘IV’ is definitely the comeback of Santana the band. The first real Santana album since their untitled third record from 1970 or maybe, if you’re being lenient, ‘Caravanserai’ (1972). What apparently started as Journey guitarist Neal Schon stalking Carlos Santana has turned into a full-fledged reunion of all but one of the surviving band members from the 1970 lineup and they’re not being subtle about it. Just look at that beautiful album cover. If that doesn’t breathe the atmosphere that fans of the original band have been craving for years, I don’t know what does. ‘IV’ isn’t a full throwback, however. Sure, it is the first time in years that Carlos Santana sinks his teeth into the band’s exciting and highly original combination of psychedelic Rock, Blues and Latin. There’s wild lead guitars and percussion augmenting the drums. But at the same time, this is something fresh. Santana never sounded this Funky and modern production techniques allow for a brighter polish this time around. Also, the guitarists have a much more pronounced sound than they had in the past: Schon’s beefy Arena Rock sound provides a perfect contrast to Santana’s trademark sharp, yet smooth tone. Most of the album sounds like the material was born out of spontaneous jam sessions. Not just because the band members themselves have pointed out this spontaneity in interviews – if anything, that could be a reason to be suspicious – but the songs sound alive and energetic, while it does feel like the musicians are moving along with each other when there are shifts in dynamics or intensity. Nonetheless, it’s obvious that quite a lot of time has been spent on the production, especially on the relatively modern sounding ‘Choo Choo’ and anything that is lead by Gregg Rolie’s vocals. Generally, I prefer the less direct and accessible songs on the record. The long tracks ‘Fillmore East’ and ‘Forgiveness’ highlight the band’s psychedelic, almost jazzy side of the band with amazing lead guitar work by both Schon and Rolie, the appropriately titled ‘Sueños’ (“dreams”) features Santana’s beautiful work on the nylon string acoustic guitar front and center, ‘Echizo’ is a remarkably well-written instrumental and the strongly Afro-Caribbean opening track ‘Yambu’ feels like it was meant as an intro track, but quickly proves to be possibly the best composition on the record. Whatever your take on the track, it sets the mood for ‘IV’ perfectly. Anyone who enjoyed ‘Abraxas’ and the two self-titled Santana albums would do himself a favor by checking out ‘IV’. As mentioned before, it’s not a complete copy of the old Santana sound, but it’s as close as it gets and that slightly more contemporary edge to the recordings gives the album a relevance beyond nostalgia. Everyone is simply in top form here, with special mentions going to – naturally – the guitar duo and Gregg Rolie, who manages to keep the band grounded. My only criticism would be that the album could have a little of its fat trimmed, but don’t let that keep you from enjoying ‘IV’. Sure, we could spend all day discussing how obnoxious Ted Nugent can be as a person, though I suspect him of making it seem much worse than it actually is, but let’s not forget that his debut album is easily the best Hard Rock album from 1976 – a year that also spawned Aerosmith’s ‘Rocks’ and the amazing debut album of Mother’s Finest, no less! Nugent himself has been quoted saying that it’s the only album you’ll ever need if you want to know what Rock ‘n’ Roll is all about, but for once, he might actually hit the nail on the head. Nugent’s debut album certainly profits from the fact that it’s not yet “Ted Nugent the solo artist”, but rather “Ted Nugent the band”. Derek St. Holmes’ blue-eyed Soul voice definitely makes the songs better than they would have been without him and Nugent has yet to find a better singer to work with, but let’s not forget the work of the rhythm section. Nugent’s former Amboy Dukes bandmate Rob Grange may not stand out immediately, but leaves an indelible mark on the album with his at times unconventional bass lines. Nugent himself is in super overdrive, but his solos are remarkably memorable as well. After a few spins, you’ll remember every note. Luckily, Derek St. Holmes sings almost all the songs on this album. Don’t get me wrong, Nugent’s vocal insanity is especially what ‘Motor City Madhouse’ asks for – hence the title – but it’s St. Holmes who adds a distinctive melodic edge to the high octane Blues Rock riffs. His own composition ‘Hey Baby’ has a very strong fifties R&B vibe, but his high range is indispensable for material like ‘Queen Of The Forest’ or the downright amazing and nostalgic ‘Just What The Doctor Ordered’. A yin to Nugent’s yang, if you will. Despite the album being consistently great, two tracks stand out for me. First of all, ‘Snakeskin Cowboys’ has a surprisingly large number of hooks for a four and a half minute song, seems to be tailor-made for St. Holmes’ voice and has a downright irresistible groove. The latter also is true for the epic monster that is opening track ‘Stranglehold’. Dark and menacing, with powerful performances by both Nugent and St. Holmes it’s a masterpiece. I have even heard someone call that riff the number one Rock guitar riff of all time. Okay, it was Nugent himself, but again: he may be right. All subsequent albums – with the possible exception of ‘Cat Scratch Fever’ – were plagued by consistency issues. Then again, how many musicians release an album as intensely and consistently awesome as Nugent’s untitled debut album? Every riff is classic Bluesy Hard Rock, every song is memorable and the production is just about as perfect as it gets for the mid-nineties, both capturing and cultivating the band’s ferocious prowess. Like “Uncle Ted” himself, the album is loud, brash and immodest, but it’s also a work that many Rock musicians should pay very close attention to. Easily the finest hour of everyone involved. Saber Tiger was founded in 1981, the same year as Loudness and Anthem, but for whatever reason never quite got the same recognition as those bands. Their relatively remote location – the island of Hokkaido in northern Japan – and the fact that they didn’t really have a stable lineup until the nineties are probably important factors. It’s really a shame, because they’re every bit as good as the aforementioned bands. Especially since current singer Takenori Shimoyama joined the fold in the late nineties, beginning an era of strong traditional Power Metal with distinct contemporary progressive tendencies. Many Heavy Metal bands that have been around as long as Saber Tiger has mainly build on nostalgia, but ‘Bystander Effect’ is really a record of its time. The guitars courtesy of Yasuharu Tanaka and founding member Akihito Kinoshita sound nice, tight and heavy, while the production feels fresh and vibrant. Calling the band a progressive Metal band would go too far, but the songwriting is relatively complex despite its accessibility and therefore, the songs are still surprising after listening to them a couple of times. Saber Tiger is definitely not your average Japanese Power Metal band! The icing on the cake is Shimoyama; his raw, passionate performance makes him sound like a Japanese Mats Levén. Having this guitar duo works too; the riff work is strong enough to carry the album, but in the solo department, Tanaka’s technical style complements Kinoshita’s more intuitive melodic playing perfectly. That’s how the long solo sections like the one in the delightfully melodic album highlight ‘Sin Eater’ stay interesting all the way through. Also, Yasuhiro Mizuno is easily the band’s best drummer yet, constantly switching between a straightforward Heavy Metal beat and more modern, complex rhythms with enviable ease. As a whole, the level of quality on ‘Bystander Effect’ is remarkably constant. There isn’t one song that will weaken your attention and the balance between more melodic midtempo tracks and faster, more aggressive material is as perfect as it gets. Sure, the long power ballad ‘An Endless End’ stands out stylistically – and has two downright mindblowing guitar solos – while closing track ‘Shameless’ gets my blood pumping due to its amazing blend of melody and aggression, but that doesn’t mean that the highly melodic ‘RinNe’, the opening riff monster ‘Dying Breed’, the heartfelt groove of ‘Shono Hate O Shira Zu’ or the highly dynamic ‘What I Used To Be’ are any less. With ‘Bystander Effect’, Saber Tiger proves once again that it’s definitely possible to make a record that’s deeply rooted in traditional Heavy Metal, but still has a contemporary vibe to make it relevant in the 21st century. Without sounding too modern. Rhythmically, the band is definitely ahead of many more nostalgic bands, but their melodic sensibilities also are light years ahead of even Loudness. Whoever loves Heavy Metal should definitely check this out. You won’t regret it. ‘Decisive’ used to be my undisputed Saber Tiger favorite, but ‘Bystander Effect’ has everything to at least equal it.